Become a Citizen, Click Here! 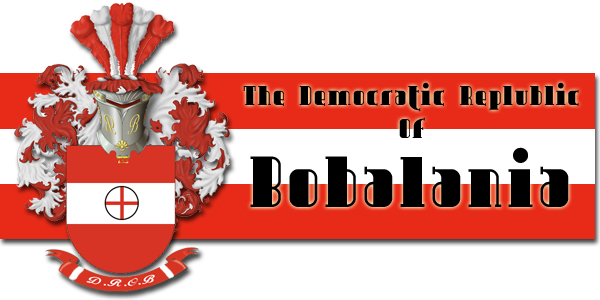 Welcome to the website of The Democratic Republic Of Bobalania. A small micronation surrounded by the North-East of England. To interact with citizens of our nation or to have your say please visit our forums by clicking here. Our mission as a country is to make a substantial nation that will be recognised by macronations in the world and beyond!!!! We also want our citizens to have equal opportunities and have the chance to become whatever they like in our nation! We are trying to form relations with other nations at the moment. Please fill out the form on the join us page, thanks!